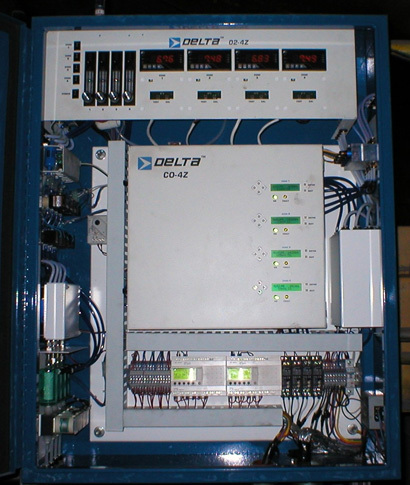 Delta Measurement & Combustion Controls is a manufacturer of single point carbon monoxide monitors, (DMCCO-Single Point) specifically designed for use on utility boilers. The cost effective design makes it ideal for use in a grid format, designed for optimizing combustion. 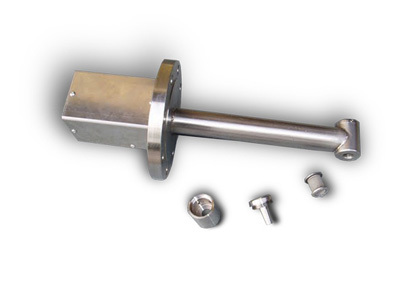 Each DMCCO monitor includes a Stainless Steel insertion probe, manufactured to customer desired length. Each monitor includes a full array of gas conditioning, including a two stage chiller, automatic moisture removal and static second stage drying of the process gas. CO monitoring is done by Internal IR bench. System includes Auto Zero of the IR bench, and automatic purging system for probe reliability. Today’s stringent environmental regulations often require Electric Power Plants to operate at much lower O2 levels than in the past. Good combustion across the furnace becomes critical under these conditions. 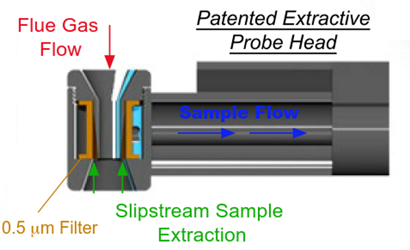 CO measurement is a proven way to inform the plant of combustion conditions. O2 alone is not effective as O2 probes are often unreliable and often affected by in-furnace air leakage. DMCC-CO monitors are a proven way to improve combustion – reduce NOx, LOI and slagging as well as improve efficiency.